Sterling Silver. With firm and secure ear-backs. 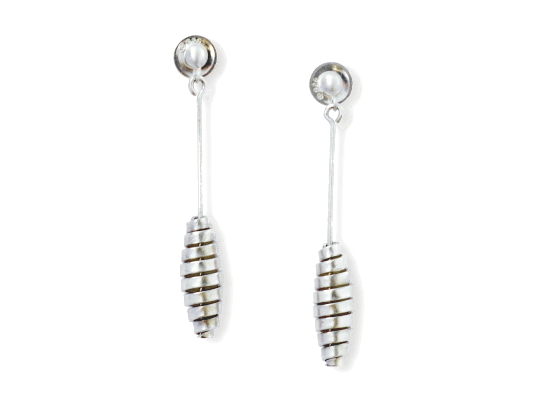 Subtle and versatile pair which can be matched with pieces in both the Gallery and Fine Spiral Ranges. Length 3.8cm, spiral length 1.6cm x 6mm (widest point).